Yesterday it was announced that anime films Hana to Alice Satsujin Jiken, Miss Hokusai and The Boy and the Beast are set to be shown at the Annecy International Animation Film Festival (The Boy and the Beast is part of the Work in Progress section while Hana to Alice and Miss Hokusai are in Competition) ahead of their theatrical release in Japan in a few months’ time. The directors of the films are regulars of the festival, giving talks and getting awards. 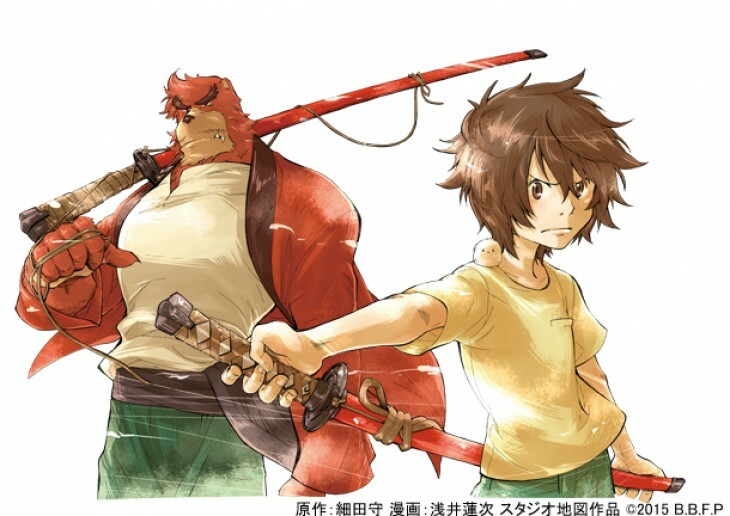 I have already written previews about Miss Hokusai and Hana to Alice (no reviews as yet) so that leaves The Boy and the Beast. The film starts with the sort of beautiful imagery that is all sorts of intriguing. A frost-covered man in a fur-lined coat kneels in a snowy forest, a bloodied mobile phone providing the only splash of colour in the white wilderness while there is complete silence on the soundtrack. The few shaky close-ups reveal he has the look of someone with shellshock. His eyes stare unevenly into the distance as he shivers, his mental equilibrium clearly wrecked by some trauma. Fade to black, the title, Broken. This is one of the few weekends of 2015 which have rolled by that I feel that there’s a great selection of films on offer. A mix of indie and big budget flicks and anime. Not too much of one or the other and there’s plenty that was fun and interesting to watch. I’d be interested in watching all of these films. I think that part of my positivity is the fact that I saw some rather excellent films since I last posted a trailer post. Rurouni Kenshin: The Legend Ends (epic movie! ), Fatal Frame, The Young Victoria (that one was harmless), Synodoche New York (you’re in the scene not filming it), and The Tale of The Princess Kaguya. I have been listening to nothing but Japanese shoegaze music again. This week saw me write about the UK releases of Au Revoir l’ete and Be My Baby. At last year’s Terracotta Far East Film Festival I saw Be My Baby, a small independent film made by a workshop on a tiny budget and starring a bunch of unknown and rather inexperienced actors. The low-budget film was an acting tour-de-force and an example of smart directing making the most of minimal resources. 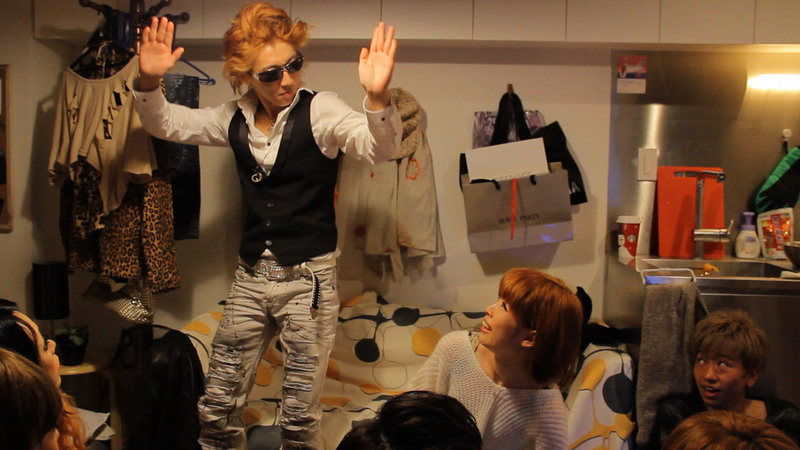 Be My Baby is a satirical story about a group of young, rough, and broke guys and girls who follow gyaru culture at a house party from hell and the fallout from that experience which leads to developing relationships, dirty secrets, terribly embarrassing revelations, and the exposure of how emotionally fragile, lonely and desperate these characters are. It’s twisting, talky, and at times tiring keeping track of the bed-hopping and shifting allegiances but there’s a lot of substance and the film is a real expose of one part of Japanese youth culture struggling with part time jobs and no expectations. This is a great example of ‘workshop’ filmmaking which is popular in Japan and, let me state again, the acting is phenomenal. I met some of the cast before the film and seeing the transformation in clothes, physicality, and speech was remarkable. Here’s my review of Be My Baby恋の渦 (2013) which goes into more detail about what I felt watching the film. Au Revoir l’ete will be getting a UK release courtesy of the film company day for night. Even though the film was screened at last year’s Edinburgh International Film Festival and I was aware that it was picked up for UK distribution but lost track of it after that. Thankfully a kind reader named Rachel Amandus alerted me to a future screening and that got me doing some rummaging around the internet for information to make this post! It has been a busy week for me writing reviews and previews for films yet to be released (some really interesting ones like Obon no Otouto and Soredake/That’s It). I published a review for Han Gong-Ju and updated the information for the theatrical release of Rurouni Kenshin: The Legend Ends which I watched yesterday. I also watched Seventh Code, Deep Red, Watashi no Otoko, and The Young Victoria. 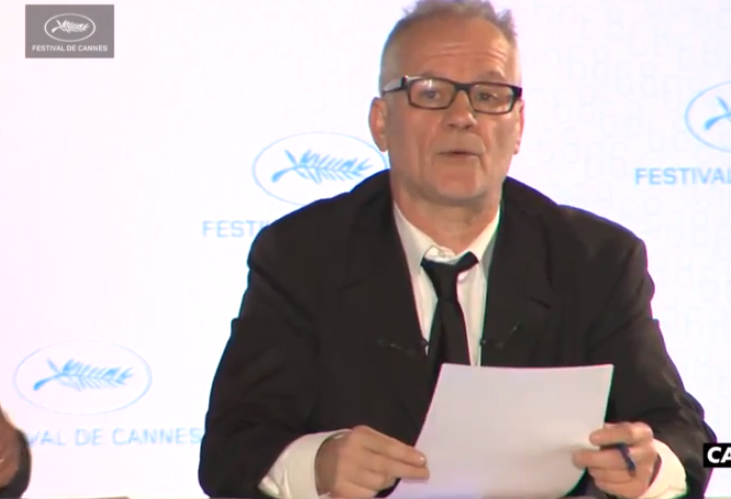 I watched part of the press conference for the Cannes Film Festival (image to the right). I liked the Josh Brolin short directed by the Coen brothers. It was amusing, the rest of the press conference less so. There were a few Japanese/co-productions films announced and I’ll post about them next week (that post is prepped). Also, that’s how I dress at my job. I now know my fashion style is dishevelled cinephile. As an itinerant anime and Asian film writer I have been reporting about the theatrical release of various movies for quite a while on this blog and another site in particular. One long-running project has been the Rurouni Kenshin movies which I have been tracking since back in 2011 (on this very blog) and 2012 (like here) and keeping track of the BBFC website I was able to spot that the first would be playing at select theatres in the UK. I was pleased when the first Rurouni Kenshin film appeared in my local cinema back in 2013 and I was soon helping spread the word about Rurouni Kenshin: Kyoto Inferno when it was released last year. This year it’s all coming to a close with Rurouni Kenshin: The Legend Ends. The day of that film’s release has nearly arrived! It’s so close! It’s released tomorrow on April 17th! I have booked the day off work to savour the experience and possibly re-watch Kyoto Inferno which I now have on DVD! Han Gong-Ju is the name of the main character. She is the beautiful girl with the tear-filled eyes staring out at us rather challengingly from the film poster and DVD case. It is a startling and intriguing look loaded with mystery and fright. Why is she crying? It makes you wonder and want to find out about why she is so upset, naturally, and the film takes advantage of this to tell a story of a girl recovering from a horrific incident and striving to survive in a society that constantly threatens her and lets her down because of her gender and lack of money. I finally posted my Top Twelve Films of 2015 (four months late) earlier this week. I delayed it because I was trying to write reviews for the films in the list that weren’t covered. There are still two titles without a write-up but I’ll rectify that with at least one review for a film before the month is out. What’s holding me up? Extra hours at work, putting extra hours into studying Japanese, and watching more films for fun rather than reviewing them. I watched some great ones this week such as What’s Eating Gilbert Grape, and Bagdad Café. Finding time to study Japanese is getting increasingly difficult so I’m taking away from blogging time to do it. 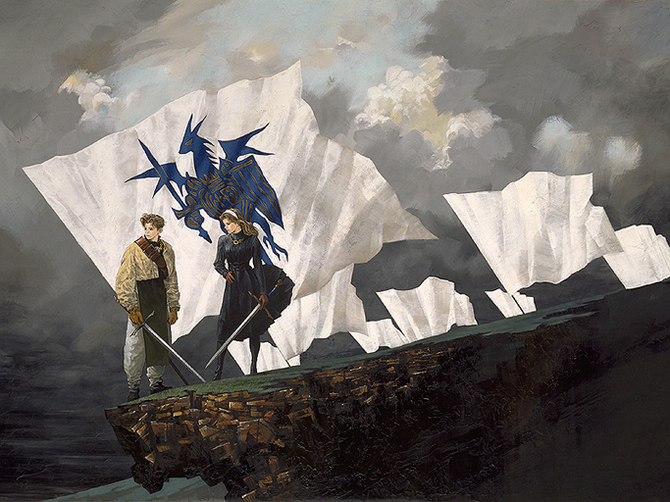 I’m also near the end of the video game Tactics Ogre: Let Us Cling Together, which has been an awesome experience. Enough about me what’s released in Japan this weekend? My cinematic year began not with a Japanese film but American Hustle, a nice distraction before I headed down to London for the 2014 edition of the Japan Foundation Touring Film Programme. I came away from that film festival profoundly moved by the humanism and simple beauty of everyday life I saw in Kimi no Tomodachi, the perfect drama with a plucky protagonist in Shindo and the very dark existential drama Parade. I followed that with a trip to the Kotatsu Japanese Animation Film Festival where I cried buckets over Colorful and saw the future of anime in Patema Inverted. Despite loving these films so much it has taken me nearly a year to write/publish reviews of them because I was constantly going to the cinema to see the likes of Blue Ruin, The Wind Rises, Deliver Us From Evil, The Grand Budapest Hotel, and Belle. Kotatsu was followed by the 2014 Terracotta Far East Film Festival in May which is where I met Akira Nagai, director of Judge!, the actors of Be My Baby, and I enjoyed watching The Snow White Murder Case. In September/October/November I was in London for the Raindance Film Festival and BFI London Film Festival where I met and interviewed/talked to even more directors. Out of all the films I watched between the two festivals it was Fuku-chan of Fukufuku Flats and The World of Kanako which impressed me the most. Overall, 2014 was a good year for my Japanese film viewing but my final list contains a lot of western films. Here are my top films from 2014.